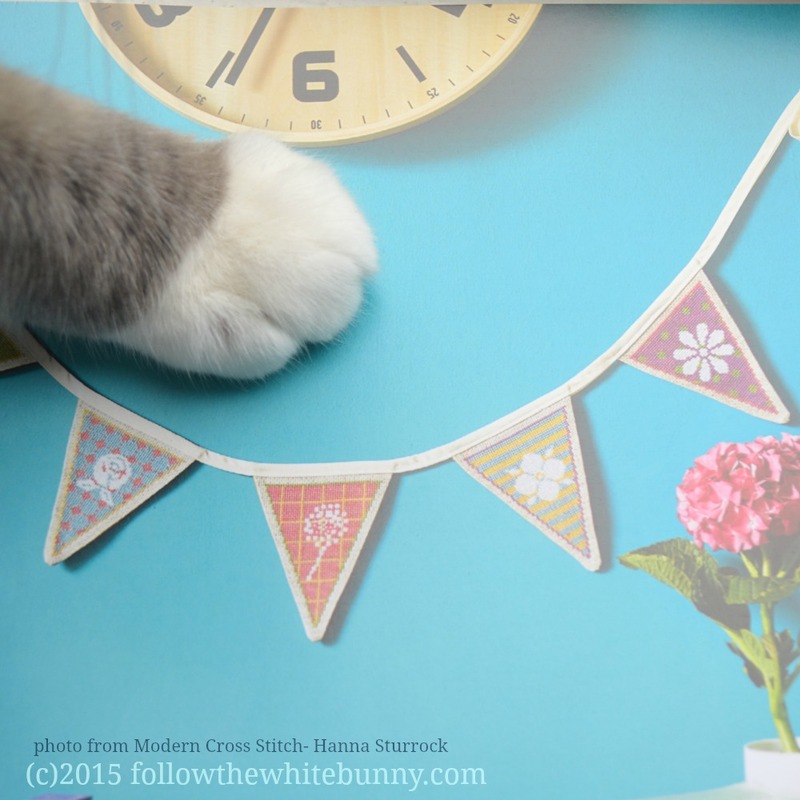 Normally I would start a post about a book with a photo of its cover, but my cat Milo photobombed this picture so elegantly, I chose this one. It is as if he's saying 'I really like this one, mum!'. 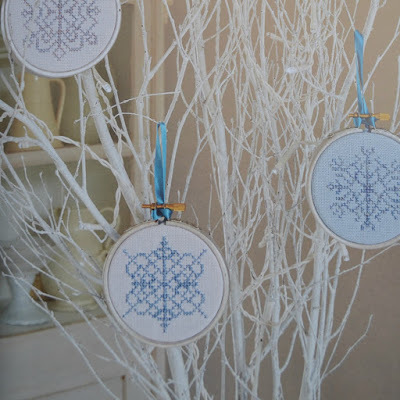 'Modern Cross Stitch' has a wide variety of styles: some projects are slightly retro (like the banner), some are a bit folksy (like the snowflakes below) and some are inspired by popular culture like a 'Kapow' cartoon style mobile phone cover or Skull patches. There's also a few projects in the 'young ones' section that hint at traditional nursery themes (Alphabet, a teddy etc) but with a more modern approach. I really like these Stitchy Bugs, especially the dragonfly! 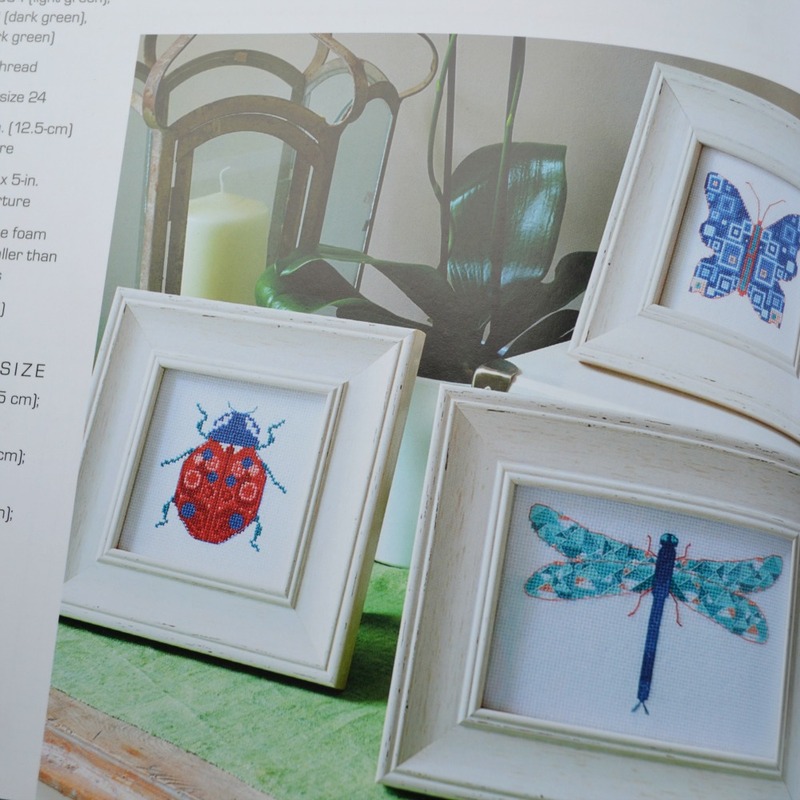 All patterns in the book have a colour key and are printed on a good scale, which makes them easy to follow (depending on your skill level, of course). Skill level (complexity of the pattern) and Material level (28 count linen is harder than 14 count aida for example) are also indicated, so you know what to expect! 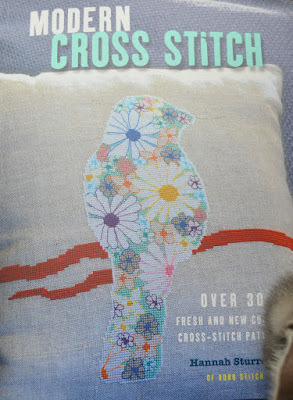 The 'Cross Stitch Basics' chapter is really useful, especially if you're starting out with cross stitch. It has easy to understand diagrams and as far as I can see, it answers any question aspiring cross stitchers may have. 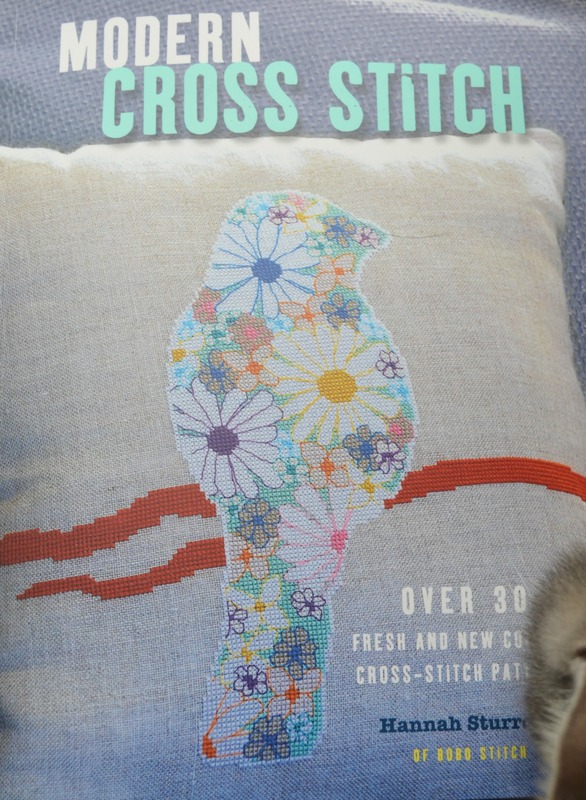 Check your local bookstore for a copy of 'Modern Cross Stitch' or find it in various online bookstores. *The publisher sent this book to me a little while ago and I thought I'd share some of my favourite things about it here!